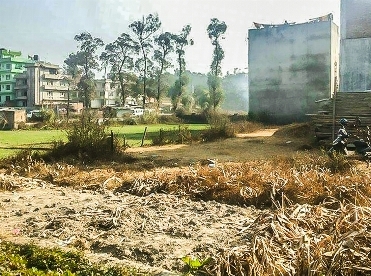 The land is located at Gokarna (near to micro bus park), Kathmandu. It is 20 meter from sundarijal road and has access to 12 ft road. It is faced towards west. The land area is 3 aana. The land price is Rs. 12 lakh per aana.